Scuderia Ferrari has confirmed that its former team principal, Maurizio Arrivabene, is leaving the team. Italian media broke the news this morning before the team released a short statement, marking Binotto as his replacement. Maybe these years next to Kimi made Vettel not sharp enough. If he can crack his riding before he gets nasty (you know, like letting his lawyers send letters) he might have a chance. Else it’s going to get tough for him. Ferrari is loyal to their number two’s but very hard on their star drivers. If the Ferrari/Alfa concept is indeed geared towards low downforce on purpose then it will only ever be a one trick pony. Not just a new front/rear wing would be needed, but an entirely new spec of car with the traditional concept of Mercedes and Redbull. I.e. This season is already over for them. At the last race Ferrari were fastest. But I honestly think this was a case of Mercedes not getting the car working, rather than Ferrari being fast per se. look it s the famous english news say: it s been years they always pretend the italians have the worst aero... but if you look closely mostly it was the opposite, at least from 2 years the real problem for the italians are tyres and suspensions while they excel on fast corners where aero is needed. it s most selfexaltation from brit newspapers, just that. this year again they repeat there are aero issues, are there? yes or no? I like Vettel. He is showing he is Human. I also believe he is the equal of any option to replace him. He will be back, but I do not know if it will be with Ferrari, he does not seem to fit in there. I like him out of the car the most out of any f1 driver. He's a top guy. I think in the guy I think we're seeing the results of what 4 titles in a dominant car, with a team mate who was average does. He hasn't really gone through the extreme pressures that create the driver he should be with 4 WDC. So he's going through them now. There's no doubt he's a quick and talented driver. Especially when things are right but there's just so many doubts over his ability to do it when they aren't. Especially in a team that looks to their main driver so much. I don't think any driver on the grid would be doing better than he is baring Hamilton. But that's mainly due to what Hamilton has been through as a driver and the experience that gives him over what Vettel has. That's not a fault of either of them it's just the way the cards went for both. Vettel needs Ferrari to up their game though or it's going to be very hard against the current Mercedes/Lewis combination. Their package this year is just too good and without them finding a drastic solution it's going to be very boring. Call me weird, but to me Vettel is a legend for life with the mustache he has grown. On a more serious note, he's a really likeable guy outside the garage, extremely funny and I think he is also very smart. I also highly rate him with qualifying pace and even if he has made mistakes in wheel to wheel combat that have cost him and his team dearly in especially the past two seasons, I do think he has played an important role and factor in the resurgence of Ferrari post 2014. Sure, he isn't there developing the car, but I think his work-ethos has done well with the team after Alonso left. I personally am quite disappointed by the hatred he seems to attract by many on this forum. Sure, I like Leclerc too, but instead of hating on Vettel for it, most should simply enjoy that we get to witness and see two highly competitive drivers battling for status at the team. Simply because Leclerc might be a star of the future does not undermine Vettels accomplishments that will forever stay in the history books of our sport. I also stand by my opinion that I think a highly competitive team-mate will ultimately make Vettel a better driver too, so Win/Win really. 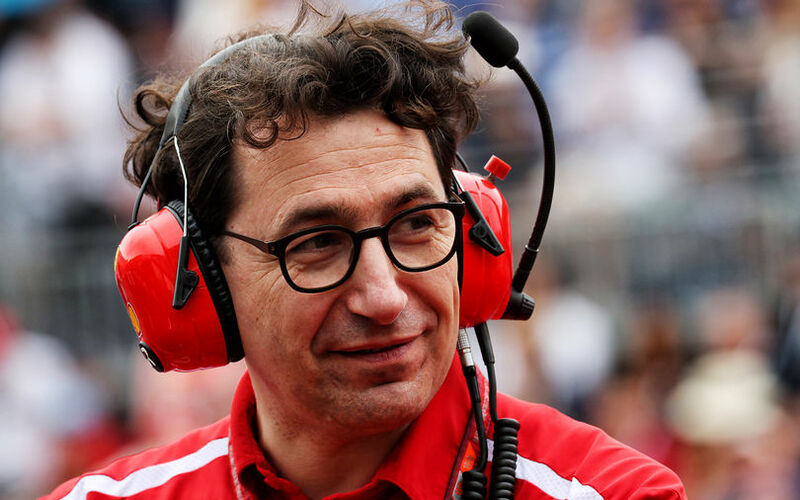 I also think Binotto is doing a great job at managing the team so far, even if some may not like the team-orders, but at least they are clear and precise. If Ferrari are backing the right driver, who knows at this point, but I do know that if Leclerc doesn't want to be the 'team player' and pawn, he simply needs to mark his authority on Saturdays in qualifying and do well during the race. If he continues to outqualify Vettel (if he does), then he will get less in situations in which the team will ask him to move over. It's really that simple. Same applies to Vettel; To not rely on the team helping him out, he simply needs to qualify well and continue good pace during the race. They were locking the inside fronts in order to be able to make the corner - that's understeer. They don't have enough bite to get into corners tightly enough. As for the fast corners, it should serve them well for Monza and Spa. These aren't road cars. In F1, the slower the corner, the more important downforce is; the faster the corner, the more important drag is. It is counter-intutive to road cars. Its why a street track like Monaco requires high downforce; while Monza, a high speed track that's mostly straights and fast corners requires low downforce. The Ferrari' cars problem is not having the downforce to cope with slow corners, so it uses up its tyres, goes slower, as a result of which it has even less downforce and tyres get colder - its a vicious cycle. The solution is either more aero, or as with Merc in the aerly hybrid years, a much more powerful engine than the rest of the field. I happen to be an aero engineer too. Want to see how well FSAE cars do without aero? All they do is under 90 kph. but it s a the usual useless false dichotomy to prove an unprovable point: who said without aero? it s that the aero performance is less important compared to the other factors. I'm afraid this is what happens when you have a head technical guy who is very much an engine person and has never had his head on the block for a car design in his life. The balance of where this car gets its laptime from is all wrong, and this is basic 101 car design. You do understand he was TD for 2017 and 2018 car, as well? What did they win then? Well, they had cars fighting for WDC/WCC, with, IMO - worse driver lineup, worse strat team and slightly worse engine (2017). In 2017, Ferrari car was best on DF heavy circuits (Monaco, Hungary) and in 2018 it was better then Merc in both (well, until rain in Hungary). Does not really align with "he is engine guy, no wonder car is ---" mentality because they where best cars Ferrari produced since 2007, so there is that. Yer. Nothing. They also faded very badly from a technical point-of-view last season. That's not the benchmark. The benchmark is Mercedes, and they have people like James Allison and Geoff Willis directing their car's direction. You need the right leadership, and technically Ferrari just haven't been getting it right. With the budget Ferrari have they should be where Mercedes is at least all the time. News: Italian media unhappy whit Vettel. Leclerc and Mick Schumacher - this is obviously future of Ferrari. Frank Dernie wrote: Not so. Downforce and engine drivability are all important at Monaco IME. It is surprising how much drag can be put up with for a bit more downforce there. The cars which can generate the most downforce have always been the fastest at Monaco. Mind you some drivers never sussed it, and talk about "mechanical grip". Nico has been impressively fast in Monaco every time he has been there. It will be interesting to see how they get on. Whoever gets pole will almost certainly win, as usual. Frank Dernie wrote: Yes, the driver probably has a slightly bigger influence at Monaco than at other tracks. Prost was the first driver I worked with who sussed it for himself.